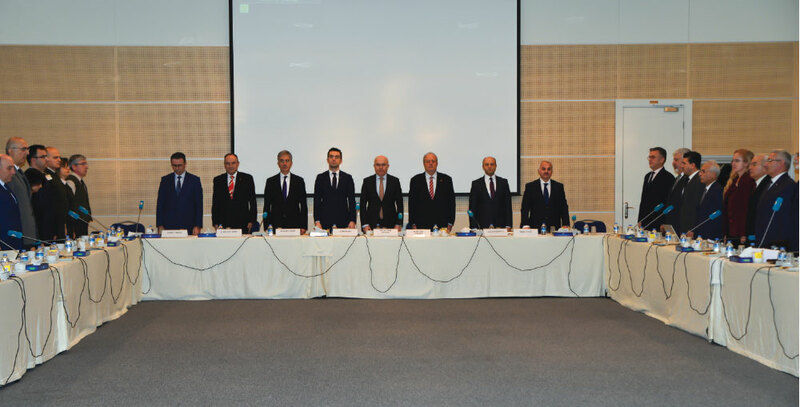 The 33rd session of the Turkish Union of Chambers and Commodity Exchanges (TOBB) Defense Industry Sector Assembly was held at TOBB facilities in Ankara under the coordination of SaSaD (Defense and Aerospace Industry Manufacturers Association). Presentations were made on the Turkish Defense Industry’s Sector Report for 2015, the search for a model for the Export Credit System, secondary legislation considering the R&D Reform package and activities for a reform in manufacturing. Problems within the sector were discussed at this platform in which the representatives of 146 Defense Industry companies and executives of the Undersecretariat for Defense Industries (SSM) participated. During the opening of the Sector Assembly Meeting, President of TOBB Defense Industry Assembly Mr. Yılmaz Küçükseyhan shared the Defense Industry Sector Report for 2015 with the participants. 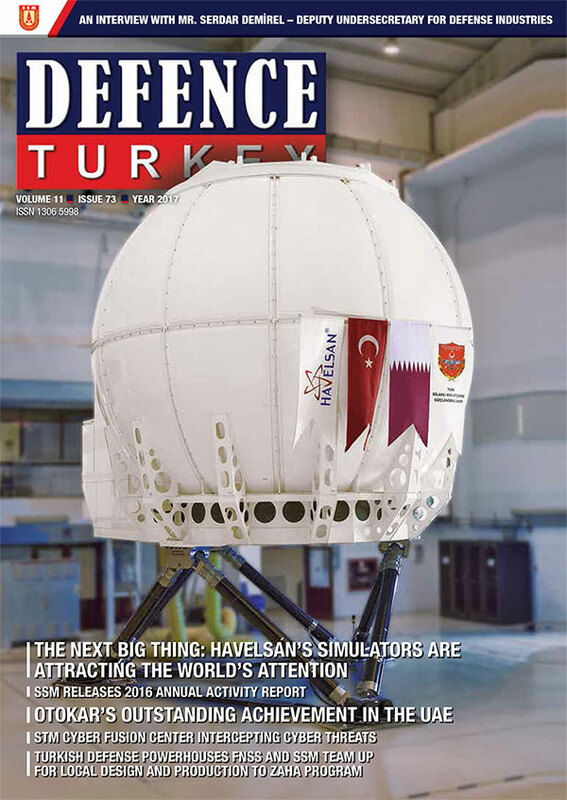 Stating that the world’s defense expenses in the year 2015 reached $ 1.773 billion, Mr. Küçükseyhan mentioned that Turkey allocated $ 14 billion to the defense industry in 2015. “Where the average allocation for defense for allies was 2.3% of GDP, Turkey allocates an average of 1.8% to the defense industry. The percentage advised by NATO to its allies is 2% however we are monitoring that, as in certain periods this rate decreases to the level of 1.3%”, continued Mr. Küçükseyhan. In light of the information compiled from the data of the SIPRI 2016 report (Stockholm International Peace Research Institute (SIPRI) the particular reason behind the increase in the defense expenses was regarded as the Russia’s military invention to Ukraine and Polish defense expenses in this period reached $ 10.5 billion, a 22% increase. According to the report, if Poland continues this growth, $ 40 billion is planned to be spent on the “Modernization Projects” within the next decades. It was mentioned that Romania, at NATO’s Eastern European front line, increased its defense spending by 53% in 2016 and achieved NATO’s target of 2% of GDP. One of the important details noted in the report was the steady increase in the defense expenditures of other countries in the same region such as Slovakia, Estonia, Latvia and Lithuania. The report disclosed that as a result, the overall defense expenses for Eastern Europe increased by 7.5%, reaching $ 66.4 billion. In the breakdown of the 100 manufacturing countries in 2014 according to regions, it is observed that North America’s turnover was $ 218 billion, Western Europe’s turnover was $ 104 billion, Russia’s was $ 40.8 billion, other manufacturers’ turnover was $ 23.2 billion and rising manufacturing countries such as South Korea, India, Turkey and Brazil had turnover of $ 14.9 billion. Since the data of year 2015 could not be completely collected, SIPRI 2016 export figures were examined in the defense assembly meeting with the data of year 2014. The total export amount of the year 2014 was $ 94.5 billion. According to this, in light of the data which had not been declared by China, Israel and England, Turkey took 8th place on the list with its $ 1.655 billion in export sale. The US was at the top of the list with $ 20.3 billion, Russia was second with $ 15.6 billion, France was the third country with $ 5.1 billion, Italy was in the fourth place on the list with $ 4.4 billion, Spain was the fifth country with $ 4.2 billion, South Korea existed as the sixth country on the list with $ 3.5 billion and Germany placed 7th on the list with $ 2.4 billion. Turkey’s performance for the years 2014 - 2015 was declared at the sector assembly meeting. Where Turkey’s total defense turnover was $ 4.908 billion in 2015, a decrease of $ 93 million is observed in the total turnover when compared with the figures of 2014. The sector’s total sales fell by 2% compared to 2014. The Compound Annual Growth Rate (CAGR) was 5% between 2010-2014 and fell to 3.2% between 2010-2015. The breakdown of Defense Industry Turnover of 2015 was as follows: Where land platforms and systems had the highest sales volume with $ 1.6 billion, Aviation/Aerospace took second place in the ranking of the list with $ 944 million. IT ranked third in the list with $ 900 million and it was regarded that this area, composing the greatest slice of the worldwide defense market, fell behind expectations. Similarly, the promising C5ISR area’s share in the turnover of total sales was merely $ 28 million. In the breakdown of the technological segments; turnover of the Space industry was $ 900 million, Security Industry was $ 550 million, Civil Aviation was $ 503 million, Weapon/Ammunition was $ 318 million, Naval Platforms was $ 170 million, MRO was $ 129 million and other services were $ 756 million. According to Turkey’s export data for 2015, 30% of the total sales amounting to $ 1.655 billion were made to North America, 17% to Europe and the remaining 53% to other countries. When Turkey’s services with foreign exchange earnings (foreign modernization, MRO services, etc.) are reflected to the export figures, then this figure increased to $ 1.929 billion (these figures could not be included in the export data as the customs declaration forms could not be prepared). In 2015 exports amounting to $ 556.4 million were made to North America and exports to Malaysia were $ 12.6 million, exports to Saudi Arabia $ 106.6 million, $ 103 million in exports to Germany, $ 88 million in export sales were made to France, export sales of $ 76.7 million were made to the United Arab Emirates, $ 58 million in exports were made to Azerbaijan, export sales amounting to $ 54 million were made to Spain, exports to Italy were $ 53 million, $ 37.6 million in exports to Kuwait, to England the amount of exports was $ 37.3 million, to Kazakhstan exports were $ 31.8 million, to Pakistan $ 24.6 million, to Bahrain $ 23.4 million, to Tunisia $ 19.6 million and to remaining countries $ 263 million in foreign sales were achieved. The breakdown of export figures according to regions were as follows: In 2015, 33.6% to North America continent, Middle East 14.7%, 14.2% to Asia, 17% to Europe, 1.2% to Africa and 15.9% to other countries. It was seen that the exports made to America and Europe was mostly realized through off-set liabilities, and when compared with the previous year the exports achieved particularly to the Middle East increased significantly. The report also displayed a noted increase in the Pacific – South Asian countries as a result of market development activities. According to 2015 data provided by the SaSaD, an important decline in orders received by sector players was observed compared to the previous year. The total order value, which was $ 11 billion in 2014, declined to $ 7.68 billion in 2015 and the Land Platforms and Air Platforms were the technology segments accounting for most of the orders. The orders valued at an amount of $ 3.67 billion were made for Land Platforms, $ 1.647 billion for Air Platforms, $ 1.064 billion for Naval Platforms, $ 1.107 billion for Civil Aviation, for Security $ 344 million, for MRO $ 660 million and for other orders $ 910 million. In the sector meeting, the importance of establishing a structure which is budgeted in advance each year according to the projects rather than a “one time only” approach, especially when forming the export credit mechanisms, was underlined. It was stated that the companies could not efficiently benefit from the Eximbank Credits due to the condition of not equipping the platforms or products that are required to be exported with arms in the meeting and suggestions on the things to be done to overcome these deficiencies were conveyed. Views on granting development support during development activities carried out in line with the demands of the foreign countries, the export applications regarding the modernization of the granted products, suggestions of the sector representatives for the export sales through exchanging methods were shared with the decision makers. Moreover, foreign policy being the pre-condition to conducting exports were amongst the issues that stood out at the meeting. A special emphasis was made on the necessity of the progress of the credit mechanisms particularly in Air Platforms through government support and credit mechanisms, as it is applied throughout the world. The representatives of Eximbank conveyed to the sector shareholders that there were no restrictions set on the financing of the products with dual usage such as border security products, coast guard boats, radio exports, etc. The institutions to which the sale of the product was made were the most important parameters in the utilization of the Eximbank Credit financing. It was stated that even textile products were not able to benefit from the credit mechanism when the procurement authority is a Military institution or the Ministry of National Defense and it was suggested that while making the preparations, the companies should take this point into consideration. Upon the completion of the presentations, the studies regarding the R&D Reform package, secondary legislation and manufacturing were conducted under the moderation of the Vice President of the Defense Industry Assembly Mr. Yılmaz Güldoğan. Following the aforementioned presentation, Deputy Undersecretary for Defense Industry Dr. Celal Sami Tüfekçi gave a brief remark to the sector assembly and the meeting was then concluded.